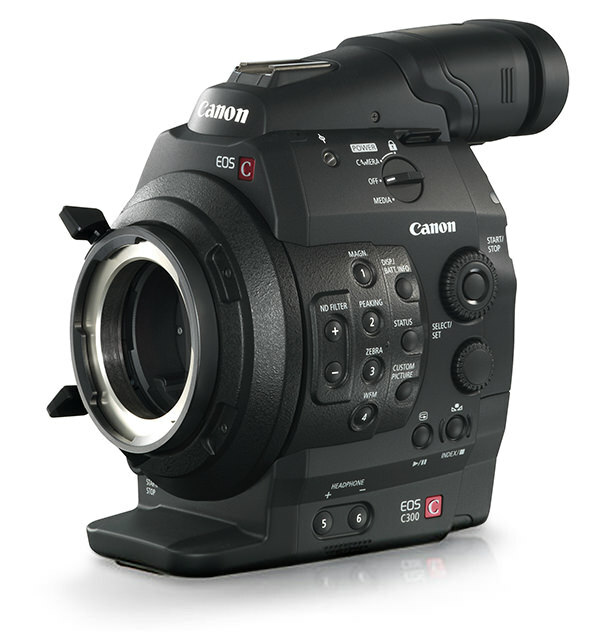 The addition of EF-mount options to the EOS C300 that accommodate more than 60 types of EF lenses greatly expands this camera's shooting range. The result is the potential to explore a totally new range of visual expression — a potential that is expanded even further with Canon's new line of EF Cinema Lenses. These lenses features focus, zoom, and iris markings engraved on angled surfaces for improved readability from behind the camera. Because the lenses can be rotated directly by hand, an easy-to-grasp rubber ring is included. In addition, the follow focus gear has been moved to the sides of the lens, allowing for easier control during manual operation. Canon has taken particular care to give professional camera operators the freedom to pursue their creative muse without limitation. The shape and position of the operating rings of single-focus lenses have been standardized to simplify the setting process during lens changes. Uncompromised attention has been paid to maneuverability, down to details such as the addition of a threaded tip to the lens barrel to accommodate light filters. 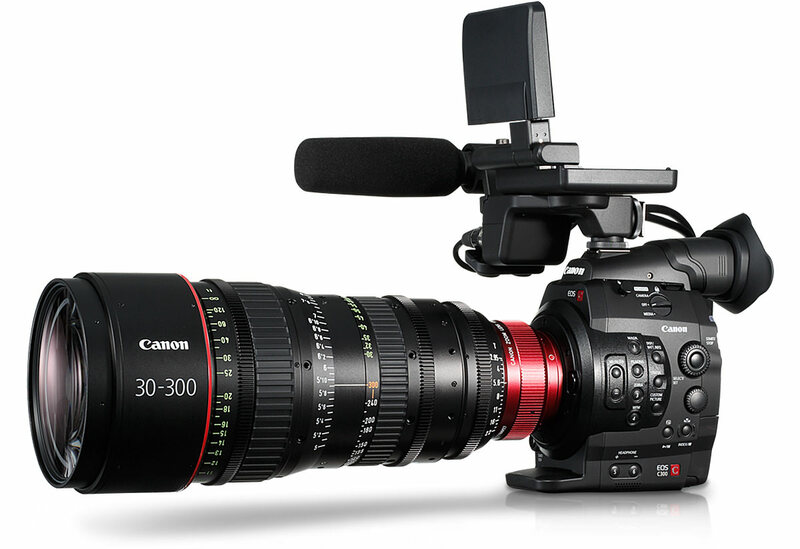 The EOS C300 is styled to emphasize the large cylindrical shape that supports the lens mount. This reflects the overall system design concept, which is intended to support the capabilities of every lens that can be mounted on the camera body. 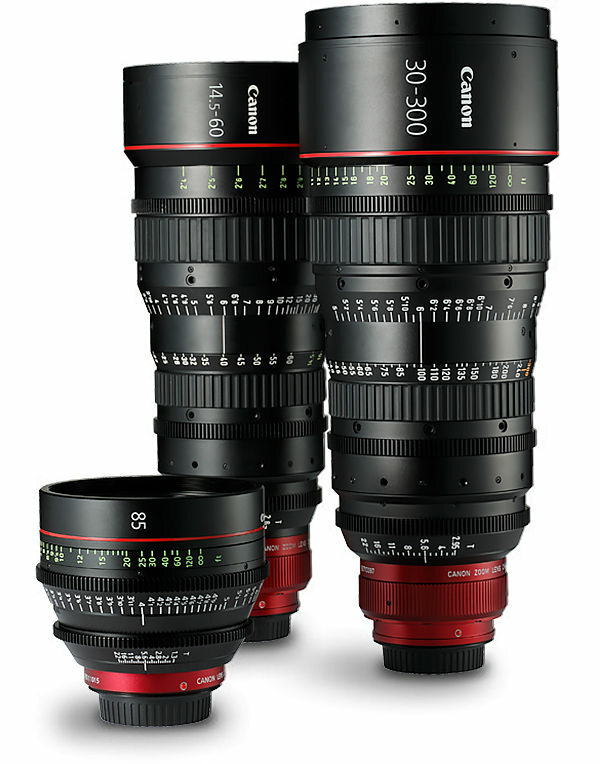 Notably, the vibrant red alumite coating used for the EF Cinema Lenses mount reflects our commitment to honor the Canon brand. The design team's primary aim was to respond to the needs of users in the field. But they also felt compelled to go even further by continuing to innovate in order to solve new challenges. This attitude represents Canon's corporate culture of unswerving dedication to craftsmanship. Clearly inspired by the EOS 5D Mark II digital SLR camera, the EOS C300 Cinema EOS System has been crafted to provide cutting-edge moviemakers with a completely new cinema camera. The novel design elements of this camera testify to Canon's reputation as an industry innovator.